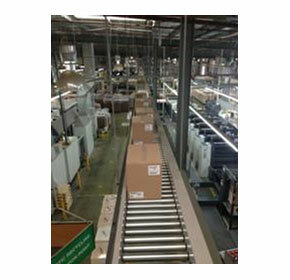 Our team of engineers and tradespeople can design and manufacture a conveying, palletising, packaging, pallet handling or any materials handling solution. 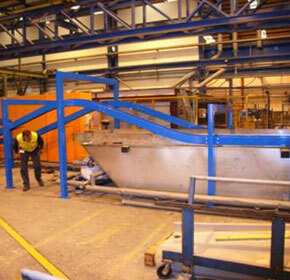 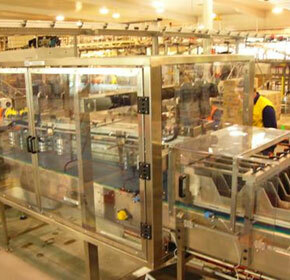 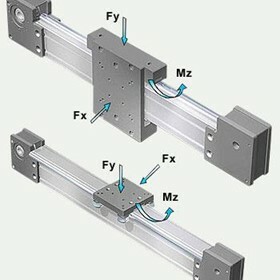 We can utlise our standard products or we can customise a tailored solution inclusive of purpose built machinery. 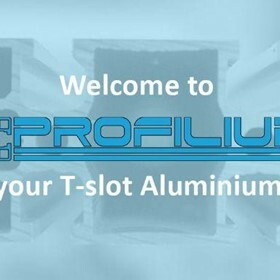 Australis offers more than simply materials handling, our PROFILIUM business imports and distributes T-Slot Aluminium Profile. 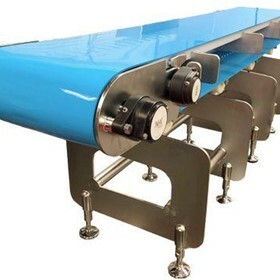 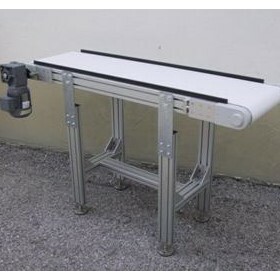 You can buy in bulk or we can design and manufacture conveyors, machine guards, workstations, industrial trolleys, safety fencing, display units, clean rooms or just about anything you can imagine. 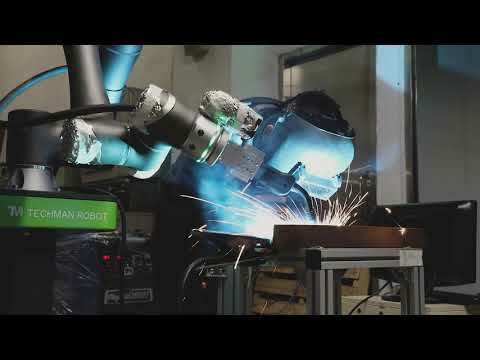 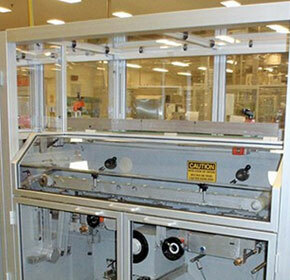 Machine Safety is a critical part of our business. 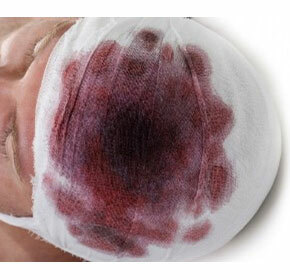 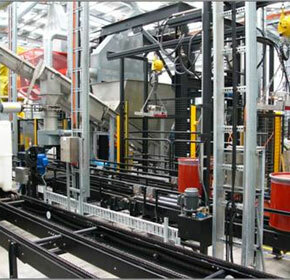 We offer total machine safety solutions. 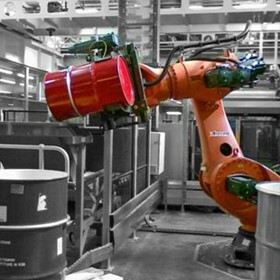 Electrical and machine safety are key capability areas and we offer all leading brands of electrical and automation safety solutions. 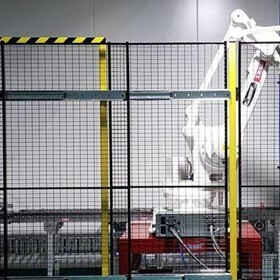 We offer machine guarding and safety fencing; and we are the exclusive Australian agents for ProtectAir - offering compressed air safety devices. 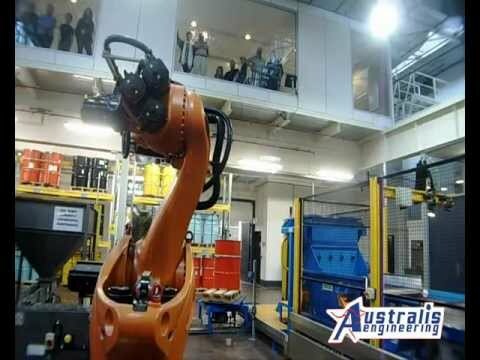 Trust us - Australis Engineering is award winning. We offer high quality, innovative conveying systems and materials handling equipment for the FMCG sector including food, beverage, PET, packaging, pharmaceutical, health, medical, print, industrial, hazardous materials, coin minting and abattoir industries. 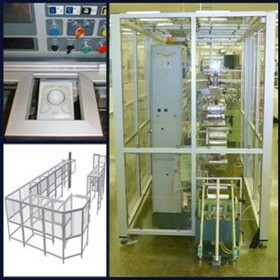 With over 30 years of engineering track record, a strong R&D history and with ISO9001 Quality Assurance and ISO31000 Risk Management accreditation - you can be guaranteed of outstanding design and manufacture quality. 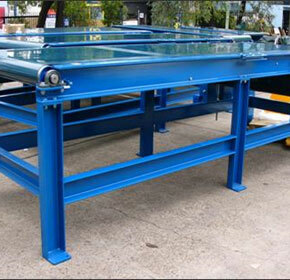 We have a strong track record for providing services and equipment to all Australian states and exporting equipment to Europe, the Asia/ Pacific region and North America. 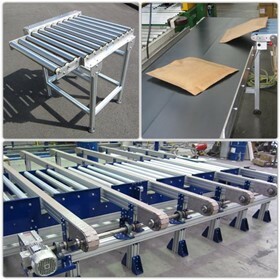 Australis Engineering will design, manufacture and commission a simple conveyor to a complete, turnkey materials handling system. 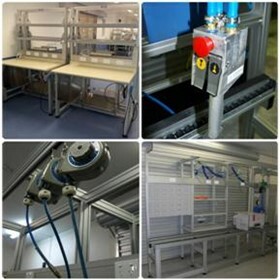 We design and manufacture locally so we can develop a solution that is tailored to your site, product, floor space and budget. 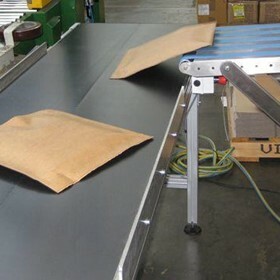 • To handle difficult products such as PET bottles, coins, bread dough, coffee, drums, blood products, wall panels, tablets, chewing gum, credit cards, glass vials, medical respirators, tacos, popcorn, licorice, batteries & other unstable or fragile products - to name a few! 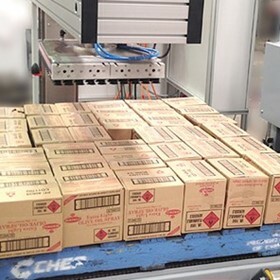 Compressed air is one of the most important energy forms used in industry today, its use is widespread and as with many things that are in plain sight, the risks of compressed air injuring people and damaging plant are often grossly underestimated. 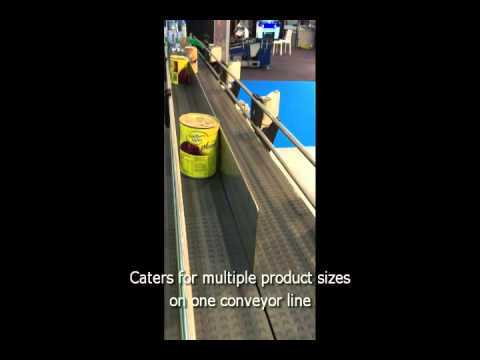 When a client needed to increase manufacturing productivity but had run out of floorspace to achieve a result, Australis implemented an integrated conveyor system including overhead conveyors to solve the problem. 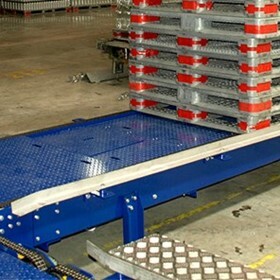 The use of heavy-duty pallet conveyors and an automated pallet inspection system enabled the identification of damaged pallets for CHEP Australia. 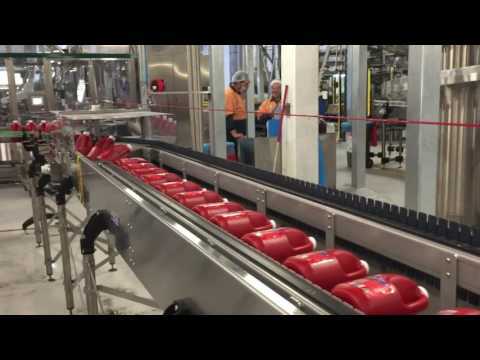 The project: Cerebos Foods, in response to a request from their own clients to modify their packaging, approached Australis to assist in the design of a modified packaging system for an existing packing line. 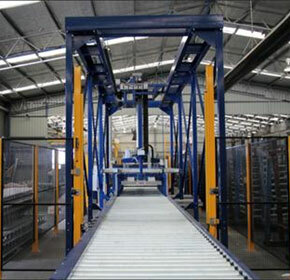 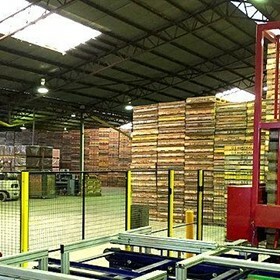 The project: Australis Engineering's confidential client sought to replace a manual palletising process from its product infill line with an automated palletiser that allowed for increased production rates and improved OHS while being able to fit in a constrained space and still operate effectively. 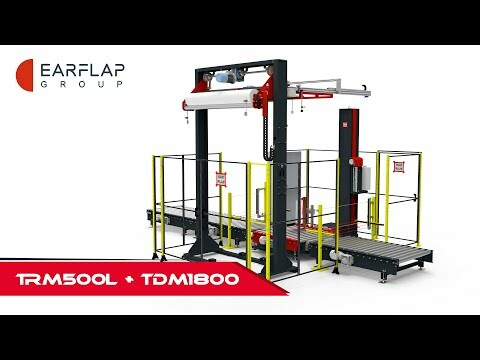 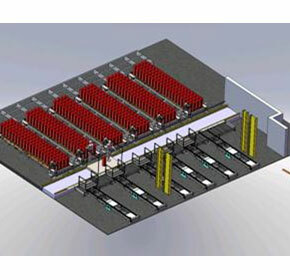 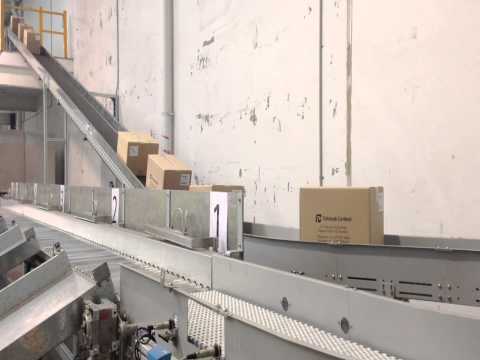 A turnkey conveying and stacking solution for large, architectural wall panels results in shorter production times and improved WHS outcomes. 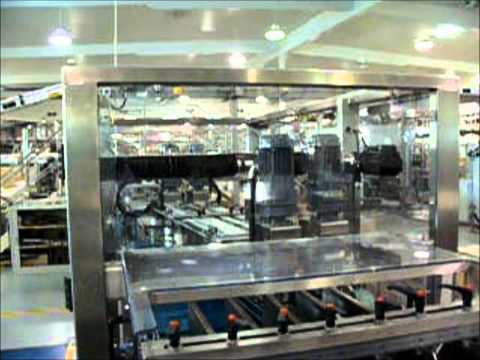 The project: in 2007 the Royal Australian Mint, Canberra (RAM) began a modernisation program for their circulating coin production facility. 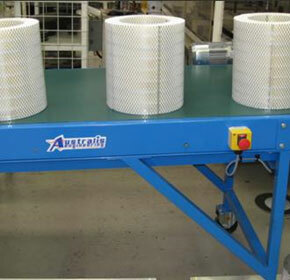 Australis Engineering were asked to provided BOC with a chain, roller and slat conveyor solution to assist in reducing the manual handling of acetylene cylinders. 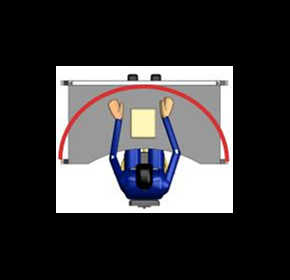 Follow the steps in our Ergonomic Design checklist to help assess the best solutions for your work benches and workstations and to ensure that your staff minimise workplace health and safety concerns. 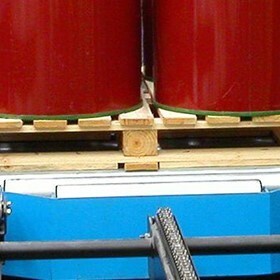 The safety of workers operating or cleaning machinery is a critical issue for all manufacturers — getting it wrong can lead to death or permanent injury and be costly to your business. 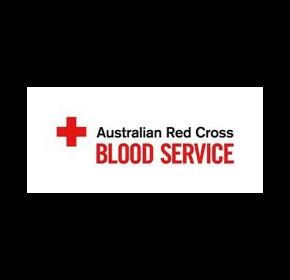 Australis has installed a range of roller and belt conveyors plus specialist materials handling baskets and trolleys for the Australian Red Cross Blood Bank, Sydney. 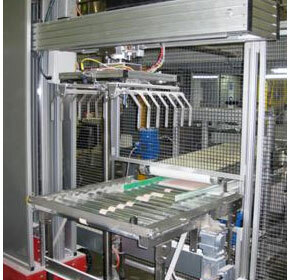 Australis designed and installed a slat chain conveyor to transport bridge and rod assemblies over a molten wax tank for a continuous dipping process. 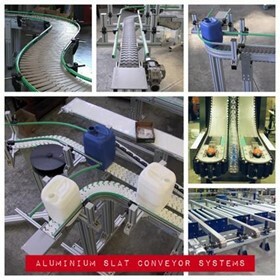 Australis Engineering was given the task of designing and manufacturing seven belt conveyors, and an adjustable product position conveyor lift system, to allow for a powered height adjustment to a conveyor line. 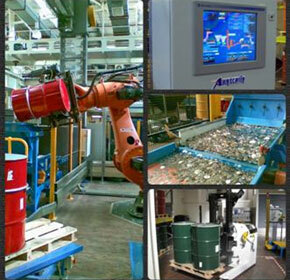 Australis Engineering were faced with the challenge of designing, manufacturing and supplying conveyors and associated equipment to achieve positive environmental outcomes for hazardous HCB waste. 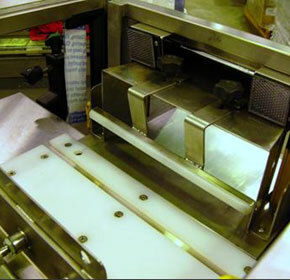 High speed lane diverters are an essential element in mass production environments. 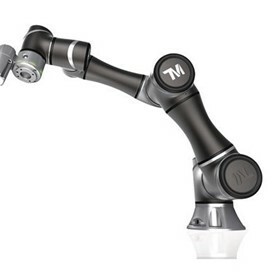 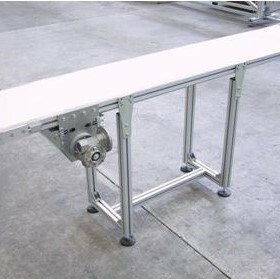 With speeds that are 70% faster than competing products, the Australis high speed lane diverter will increase your manufacturing efficiency. 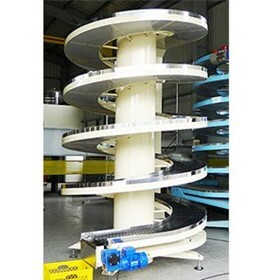 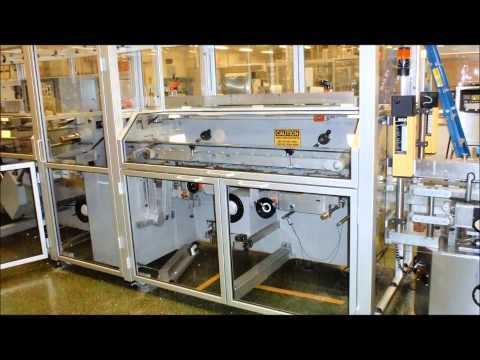 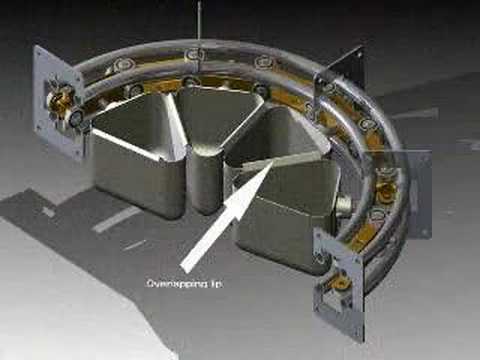 The Multi Axis Bucket Conveyor can be used for multiple applications. 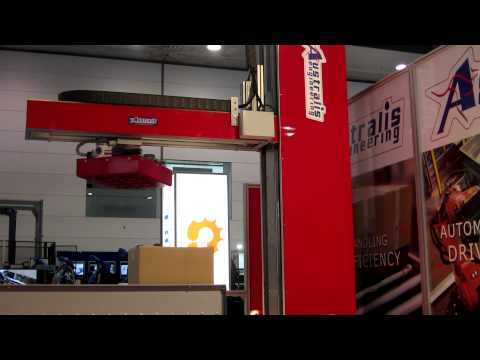 The MLP-12 palletiser in 3-pallet configuration at Auspack 2015. 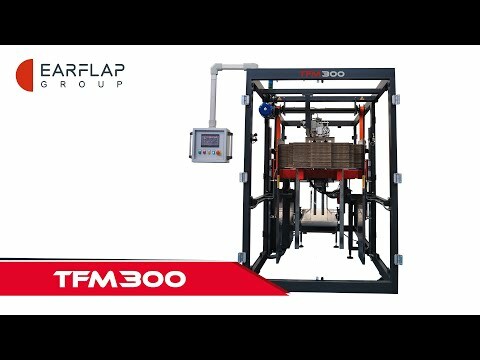 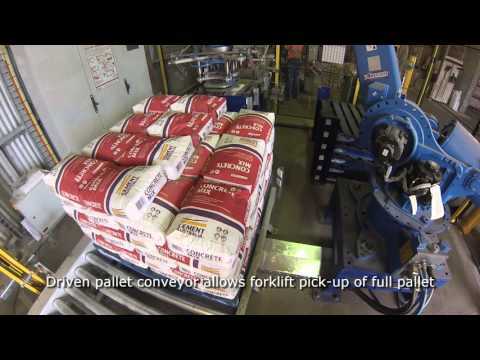 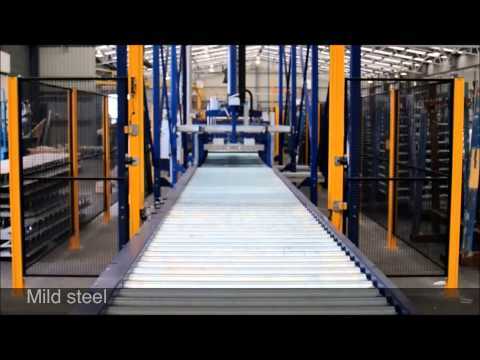 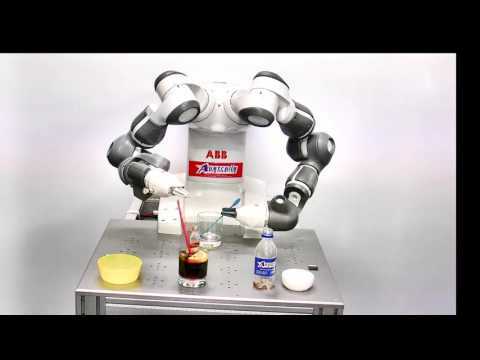 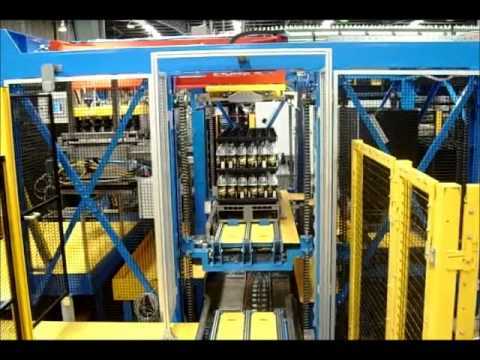 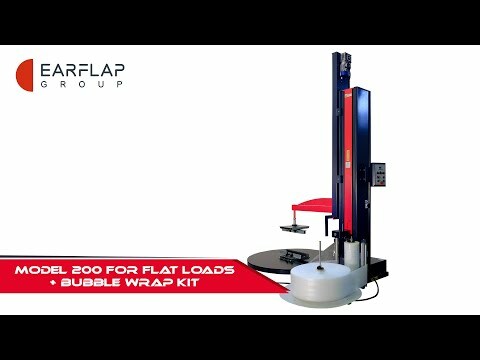 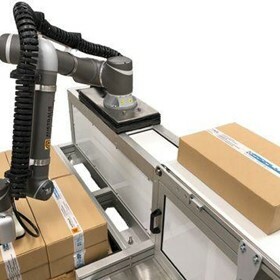 A robotic palletising system for bags of cement.